The Honda NSX is set to make a triumphant return to the supercar game within three years following the unveiling of an Acura-badged concept at the 2012 Detroit motor show. 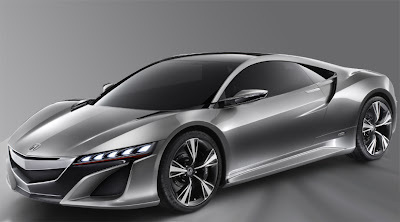 The NSX concept is a philosophical successor to Honda’s original supercar – manufactured in Japan between 1990 and 2005 – incorporating lightweight materials, a mid-mounted V6 engine and an emphasis on cutting-edge high-tech engineering. Among the new model’s most innovative features is its all-wheel drive system. Honda calls it Sport Hybrid SH-AWD (Super Handling All Wheel Drive), and says it will deliver handling performance “unmatched by previous AWD system”. It uses an electric motor drive unit and a bilateral torque-adjustable control system to generate positive or negative torque to the front wheels during cornering. 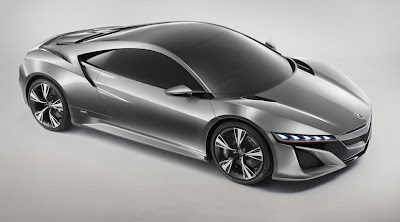 The all-new direct-injection VTEC V6 is linked to a dual-clutch transmission with a built-in electric motor, which Honda says creates “supercar acceleration while offering outstanding efficiency”. Honda Motor Co. CEO Takanobu Ito says the future supercar’s all-wheel drive system will make it the ultimate expression of synergy between man and machine. Ito said Honda’s engineers were targeting “high performance through engineering efficiency”, just as the developers of the original car did 25 years ago, although with a renewed sense of environmental sensibility. 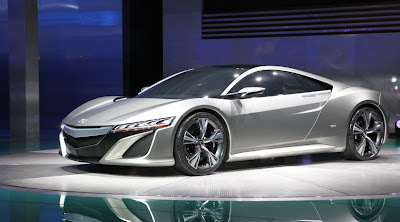 The all-new Honda NSX will be developed by Honda R&D Americas and manufactured in Ohio, with production set to begin before 2015.